9.9" x 6.2" stitched on 14 count. 7.7" x 4.8" stitched on 18 count. 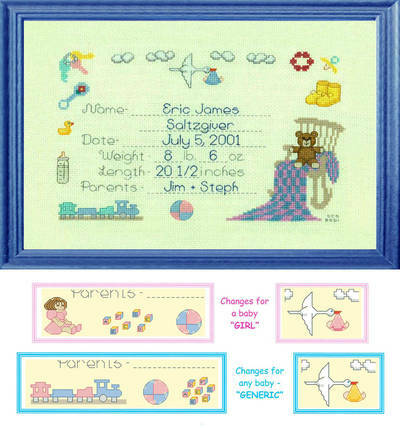 3 Variations Baby Announcement cross stitch pattern... PRICE REDUCED - 3 charts in 1 with alphabet-number chart included. Baby announcement with baby items around birth details.